Research, in New York and for the next six years devoted herself to helping expand the organization and following the course of World War II. In 1948, she married Szymon Dawidowicz, a political refugee from Poland. When the war ended, Lucy Dawidowicz left her job and the Jewish history program at Columbia University, which she never completed, to enlist in the Joint Distribution Committee. She spent 18 months in Germany, serving among Jewish survivors and helping to catalog the thousands of books confiscated by the Nazis. Back in the USA, she was hired by the American Jewish Committee as a research analyst and eventually promoted to director of research. In 1969, she left the AJC to serve as an associate professor at Yeshiva University. By 1974, she was a full professor and held first the Lewis Chair in Holocaust Studies and subsequently the Zborowski Chair in Interdisciplinary Holocaust Studies. Throughout the 1970s and 1980s, Lucy Dawidowicz wrote critically-acclaimed books and articles and received numerous awards. 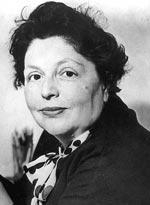 Her most famous and controversial book was The War Against the Jews, 1933–1945 (1975). Lucy S. Dawidowicz is currently considered a "single author." If one or more works are by a distinct, homonymous authors, go ahead and split the author. Lucy S. Dawidowicz is composed of 10 names. You can examine and separate out names.